Diesel engines have a higher compression ratio than traditional engines. This helps provide greater fuel mileage and more torque than traditional gas engines. This also means that you have to know what you are doing when choosing a mechanic. Scott is an ASE certified mechanic to repair diesel engines. Becasuse he has more than 20 years of experience. He should be your mechanic of choice. As a result you have found the right place. Whether you have a Dodge Cummins , Chevy Duramax or a Ford Powerstroke diesel engine. We can handle any routine maintenance or mechanic work needed. Between our shop or mobile mechanic services we can handle the job. Just give the shop a call to schedule the work. Monaghan’s Autor Repair ASE-certified technician. As a result he can quickly diagnose and repair any Duramax™ diesel problem quickly and affordably. In addition to regular scheduled maintenance programs. 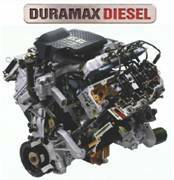 We will help ensure that your Duramax™ diesel engine works efficiently and effectively. As well as preventing potential inconvenient breakdowns and expensive repairs when travelling. You are counting on your Powerstroke™ diesel for safe and reliable driving. At Monaghan’s Auto Repair, you can trust your diesel investment to our ASE Certified mechanics diesel experts. If you are looking to get years of excellent performance from your Powerstroke™ diesel. Bring it to Monaghan’s Auto Repair diesel mechanic professionals. We are dedicated to giving our customer’s 100% satisfaction by guaranteeing all of our services and products. Have Scott and his team take a look at any Diesel Mechanic needs you might have. We can handle anything from routine service or oil change. Even a major engine failure can be taken care of. Give us a call at 702-906-2444. Call Monaghan’s for your diesel needs. Don’ forget we also offer Mobile Mechanic Las Vegas.